Last Sunday, which was Palm Sunday, marked the beginning of Holy Week. Our remembrance of the events surrounding the death and resurrection of Jesus makes Holy Week the most sacred time of the year for Catholics. Remember to balance the sacred part of Holy Week with all the other Easter preparations you may be making. Over the next few days, as we draw closer to Easter Sunday, let us remember the events leading up to the resurrection of Jesus Christ. Today, also known as Spy Wednesday, recalls the decision of Judas Iscariot who betrayed Jesus for 30 pieces of silver. Holy Thursday is the day when we remember Jesus and his disciples gathering together for the Last Supper. During this meal, Jesus instituted the very first Eucharist. The Mass of the Last Supper, celebrated tomorrow, reminds us of Jesus washing the feet of his disciples to impress upon them the call to serve others. Good Friday services commemorate the crucifixion, death and burial of Jesus. This is the one day of the year Mass is not celebrated. Instead, Good Friday services are held from noon until 3:00pm. This is also a day of fasting and abstinence to commemorate the pain and suffering of Jesus. Easter Vigil (Holy Saturday) Liturgy consists of several parts, including the lighting of the Paschal candle, the Liturgy of the Word, and the Sacraments of Initiation for those electing to become members of the Catholic Church. Easter Sunday is a joyful celebration of Jesus' resurrection from the dead. He also joined his disciples for a meal and told them to carry on his works. Please check out your church's schedule for Easter Week activities. Our seventh graders will receive the Sacrament of Confirmation on May 10 at 5:00pm in the church. To prepare for this important event in their faith journey, they participated in a retreat last week. Please keep the seventh graders in your prayers as they prepare for this special day. As we mentioned last week, we are working with an organization called Greenprint Partners to develop rain-ready landscape designs for our school yard and we need your input to guide the design! This survey asks about your needs (and your perception of the needs of your neighboring community) as they relate to property/community enhancements, and will take no more than ten (10) minutes to complete. Thank you for taking the time to provide valuable input that will inform the landscape design concept proposed for STM. Tomorrow, we will present our Spring Show under the direction of Irene Navarro, our music teacher. This year, all students in preschool through 8th grade will perform some 'Golden Oldies' on the stage of The Shah Performing Arts Center in the gym. We look forward to seeing you at this fun production which kicks off at 10:30am. Parking will be available in the schoolyard beginning at 10:20am and the gym doors will also open at this time. On the day of the Spring Show, students are encouraged to dress in either clothing that reflects the 'Golden Oldies', or nice fancy dress. No t-shirts, sweats, Uggs or sneakers please. Pants/dressy jeans should be fitted and not baggy. Students may, of course, wear their uniform. Please join 8th grade for the world premiere of the short films they have been working on over the past few weeks. We will screen the movies in the gym tomorrow immediately following the Spring Show. The 8th graders would love you to come and enjoy the results of their hard work and creativity. Do you have talent? 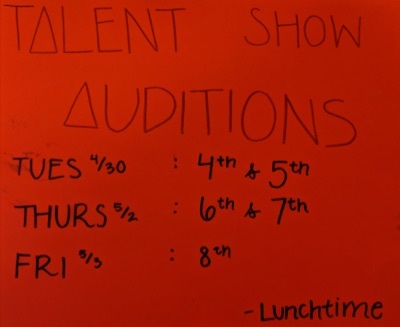 Last year's talent show was so successful that we are doing it again this year! Auditions will be held beginning the week of April 29. Students in grades 4-8 are encouraged to audition. Have you completed your required Parents' Club hours? If not, there's another opportunity coming up. Click here to sign up to volunteer for the upcoming Trivia Finals on May 4. At this time of the year, teachers of all classes will begin working on the Family Life portion of the Religious Education curriculum. All grades will be using the Benziger Family Life series. We strongly encourage you to use this time to talk with your child about your family's individual views and expectations. 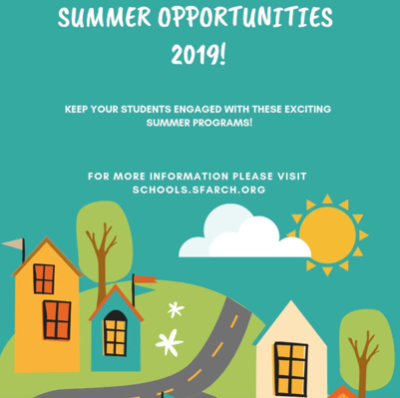 Please contact your child's teacher directly if you have any questions about this program. Tomorrow, April 18 is a minimum day for all Preschool-8th graders and the beginning of Easter Vacation. Preschool will dismiss at 12 noon, TK-3 at 12:15pm and 4-8 at 12:30pm. Extended care will be offered until 6:00pm. Please note that the school office will be closed from Thursday, April 18 at 1:00pm and will re-open on Monday, April 29 at 7:45am. Classes will also resume for a full day on Monday, April 29. Copyright © 2019 St. Thomas More School, All rights reserved. 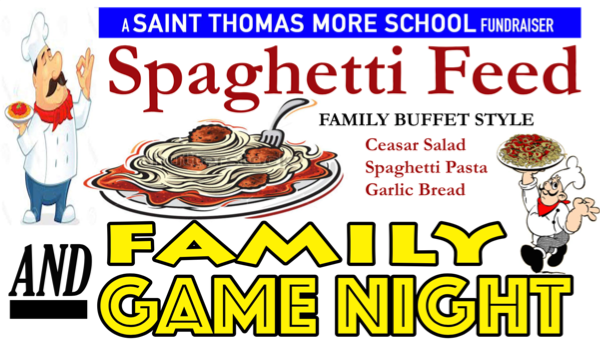 You are receiving this email from the office of St. Thomas More School. Thank you for helping us go green. This Sunday, the Sunday before Easter, is known as Palm Sunday. 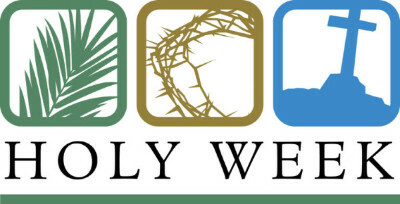 It is the beginning of Holy Week. It celebrates Jesus' triumphant entry into Jerusalem on the back of a donkey. Great crowds of people thronged the streets waving palm branches to welcome Him. 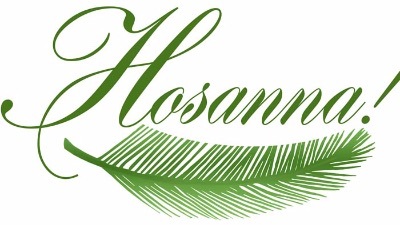 The people shouted "Hosanna" and laid their cloaks and palm branches from the nearby trees in His path. As we move closer to Easter Sunday, please continue to encourage your children to fill their Lenten envelopes so that the MCA missionaries can continue their good work in the world. We will be collecting these boxes after we come back from Easter break. On Tuesday, April 16, the 3rd graders will complete their Stations of the Cross presentation by presenting stations eight through fourteen. Please join us at 8:30am in the church. Last week we reported that Confirmation would be held on May 4. That was incorrect. The correct date is Friday, May 10 at 5pm. We are working with an organization called Greenprint Partners to develop rain-ready landscape designs for our school yard and we need your input to guide the design! We are hoping to be awarded a grant to complete this project. A wide body of research shows that landscape designs can impact the community, economic, and environmental well-being within a neighborhood. Greenprint Partners specializes in customizing landscaping solutions that maximize the priorities of local communities like yours. This survey asks about your needs (and your perception of the needs of your neighboring community) as they relate to property/community enhancements, and will take no more than ten (10) minutes to complete. Thank you for taking the time to provide valuable input that will inform the landscape design concept proposed for STM. The 16th annual essay contest sponsored by the Young Men's Institute (YMI) Council #613 were announced this past Sunday. We are happy to announce that there were six winning STM students (four in 7th and two in 8th) and three STM alumni (two in high school and one college). 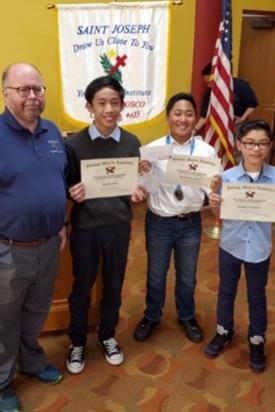 STM's 7th grader Providence Poklay finished 2nd place in the middle school division ($750) and alumni Amaelia Bringas was the first place finisher in the high school division ($1,500). In all, the nine STM students (including our alumni) won $4,350. Congratulations to all the STM award winners and their sponsoring YMI member, and 7th grade teacher, Mr. John Kavanagh. Today you will receive information about our fifth annual Spring Spell-A-Thon in support for our technology program. As per the financial policies, all TK-8 grade students will participate in this activity. Additional sponsor forms are available in the office. Please remember that the deadline has passed for returning the "yellow" Parent Agreement-Parent Participation form. If you have not yet returned that form, please do so as soon as possible. Please keep in mind that tuition payments for the 2019-2020 school year will begin in May and be processed through FACTS Tuition Management. 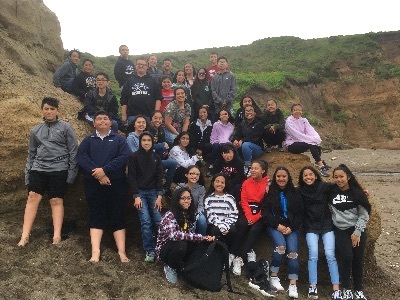 Returning students in grades 4-7 have previously received the 2019-2020 5th-8th grade responsibilities and obligations form. Please review it with your child, sign it and return it no later that Wednesday, April 17. On Thursday, April 18th, we will present our Spring Show under the direction of Irene Navarro, our music teacher. This year, all students in preschool through 8th grade will perform some 'Golden Oldies' on the stage of The Shah Performing Arts Center in the gym. We look forward to seeing you at this fun production which kicks off at 10:30am. Parking will be available in the schoolyard beginning at 10:15am and the gym doors will also open at this time. Please join 8th grade for the world premiere of the short films they have been working on over the past few weeks. We will screen the movies in the gym on Thursday April 18th immediately following the Spring Show. The 8th graders would love you to come and enjoy the results of their hard work and creativity. A student from Riordan is finishing up his Eagle Scout and came up with a fantastic idea to provide a free safety program to parents. He would like to invite parents from surrounding Catholic schools to attend this presentation. Parents will have an opportunity to speak and ask questions with members of San Francisco Safe and the San Francisco Police Department and will receive information on how to protect your child from online threats. For more information, please see this flyer. Next Thursday, April 18 is a minimum day for all Preschool-8th graders and the beginning of Easter Vacation. Preschool will dismiss at 12 noon, TK-3 at 12:15pm and 4-8 at 12:30pm. Extended care will be offered until 6:00pm. Please note that the school office will be closed from Thursday, April 18 at 1:00pm and will re-open on Monday, April 29 at 7:45am.